This is crackers: Nabisco goes free-range. “J.P. 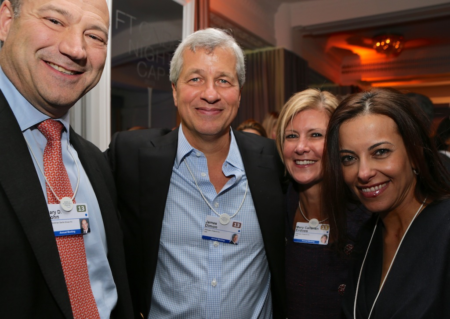 Morgan Chase is about to lob a grenade into the increasingly competitive world of retail investing,” says CNBC. The bank’s launching a new trading app next week called You Invest, targeting millennials — who might already be using other discount brokerage apps — and first-time investors. The You Invest app’s been two years in the making… and it’s an open secret JPM’s CEO Jamie Dimon’s modeling the service after Amazon Prime membership. Every trading platform, in fact, asks the same question: What’s your level of risk tolerance? Expecting returns, on average, of 8–10%. Tim believes this is no way to build wealth — for generations to come or even for retirement. “Let’s back up a minute, though, and look at what a portfolio that follows these assumptions looks like in real life. “Let’s say you’re 25 years old today. You have $10,000 saved in your 401(k) account and you commit to saving 5% of your $55,000 a year income until you’re 65, at which point you hope you can retire. “Now let’s assume your salary grows a few percent a year and that inflation holds between 2–3%. “Since most retirement calculators assume you’re going to need 85% of your pre-retirement salary each year you’re in retirement,” Tim says, “we can safely say that you’re going to need between $2–3 million in your accounts to cover your post-working expenses. “If you follow the investing model described above, do you know how much you’re going to wind up with? Not even $850,000,” Tim says. “You aren’t just a little short — you’re millions of dollars off! “I can’t think of anything riskier you could do than to hinge your comfort, your happiness and your enjoyment of your golden years on traditional financial ‘wisdom’!” Tim says. “With everything the media have done to put down penny stocks and the people who trade them,” he says, it’s no wonder so many people believe it’s one of the riskiest things you can do with your money. But Tim’s living proof that you can trade your way to millions — he has a net worth of $4.4 million — starting with as little as $12,000 (or less), as Tim did in college. This is the bottom-line reason day traders lose money. Here’s the thing, Tim says: “Penny stock trading isn’t about finding future winners and getting in at the ground floor. “It’s about spotting companies that are going through predictable price action patterns and using them to your advantage. “Once you start to think of your trades in these terms, you cut your losses automatically because now it’s all about the numbers,” he says. For example, you’ve put money on a stock you think might be the next big thing. Tim says you don’t let your money ride all the way to the top; instead, “you ride it to a certain point where you’ve made the profit you wanted, and then you get out. “Going all-in is great for dramatic poker movie scenes,” says Tim, but “it’s just juvenile for penny stock traders. Tim asks — rhetorically: “Would I rather wipe out 5% of my account or 50%?” And that’s the question traders should ask themselves when executing trades. “These aren’t the only things you can do to cut your risk,” Tim says, but always “be deliberate in your portfolio choices. “Don’t just listen to the crowd when it comes to taking financial advice,” he says — especially when it comes to risk exposure and management. [Ed. Note: Not sure what you think about what Tim has to say? That’s understandable. But following conventional advice — building a nest egg with a 401(k), buying and holding mainstay stocks and praying that you get 10% returns every year — will leave your retirement account millions in the red. The bad news is you’ve been working too hard… for too little. The good news? You can stop! Check out this 51-second LIVE DEMONSTRATION to see if this is right for you. “BOOM!” says Alan Knuckman. “After seven long months, we have finally hit a new all-time high in the S&P 500! “The comeback climb erased the February fall. And a full ‘V’ recovery now targets S&P 3,200. “That’s more than 12% above the broad market barometer’s current level. We’ve gotta hand it to Alan… When the market topped on Jan. 26 and everything went nuts starting on Feb. 2, Alan accurately called the bottom a week after that. Today the S&P 500 Index is slightly in the red — at 2,857 — along with most of the markets. The DJIA dropped roughly 100 points to 25,636… those niggling trade-war jitters. The Nasdaq’s wilting too, at 7,871. Checking in on cryptos: Bitcoin’s up almost a C-note, to $6,470.92; ethereum’s at $274.34. 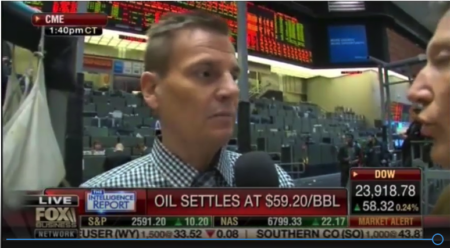 “But here’s the kicker,” Mike says, “as the bull gets older the money in the markets will shift considerably. “Today’s leaders will be tomorrow’s laggards and vice versa until we start the whole cycle again,” he continues. What’s problematic is predicting when this shift is going to occur. Bonus sector (that should be no surprise to readers of The 5): financial stocks. “Banks are a prime beneficiary of rising interest rates and lower taxes, plus they’re attractively valued after underperforming in the market recently. Saudi Aramco is scrapping plans to go public in what would’ve been the biggest IPO ever. “The proposed listing of the national [oil producer] was a central part of Crown Prince Mohammed bin Salman’s reform drive aimed at restructuring the kingdom’s economy and reducing its dependence on oil revenue,” says Reuters. “The prince announced the plan to sell about 5% of Aramco in 2016 via a local and an international listing, predicting the sale would value the whole company at $2 trillion or more,” the article continues. Oh, come on! PETA badgers Nabisco animal crackers. 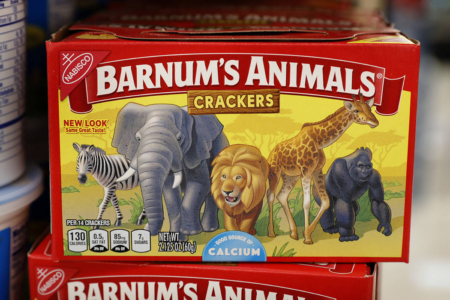 “Animal crackers, long depicted behind bars in iconic packaging that resembled circus boxcars, are going cage-free,” says an article at Chicago Tribune. Oh, and PETA went so far as to offer a mock-up of an animal cracker box sans bars; once Nabisco submitted its new artwork for PETA’s approval, the image was “remarkably similar” to PETA’s. “PETA has no plans to file a copyright infringement lawsuit,” the article says. Mighty generous of the SJWs. P.S. Tim Sykes just recorded a short video from his iPhone… showing a brand-new way to retire. Some people are calling it the “easiest way to invest” and “easy money” — but you’ll have to click here to see it. But you must watch this brief clip before Friday at 3 p.m.